Like most of my friends, I was disappointed at the reveal of the Xbox One, an ill conceived focus on mass-media led to a massive communication mess-up that fomented ill-will towards Microsoft. I can forgive them for that, they can remedy that at E3, which was promised to be more interesting to game-consumers than the May 21st Conference. But there’s another thing that’s super-important that we need to talk about, and that’s the issue of ethics. I’m a huge proponent of the open-source movement, and I believe that the tools that they generate make computer-literacy, perhaps the most important skill in the 21st century, accessible to anyone. The code and assets that they generate are crucially important for our digital culture, heck, every single one of my games involves borrowed assets of some kind. Open-source software allows us to have ownership over our computers, freeing us to tinker, experiment, and explore these important machines, enriching our world as a whole. You do not own the games you buy. You license them. Discs are only used to install and then license games and do not imply ownership. People can play games installed on your console whether you’re logged in or not. 10 people can be authorised to play these games on a different Xbox One via the cloud, but not at the same time, similar to iTunes authorised devices. Publishers decide whether you can trade in your games and may charge for this. Publishers decide whether you can give a game you own to someone for free, and this only works if they have been on your friends list for 30 days. Your account allows you to play the games you license on any console. Your Xbox One must connect to the internet every 24 hours to keep playing games. When playing on another Xbox One with your account, this is reduced to one hour. Live TV, Blu-ray and DVD movies are exempt from these internet requirements. Loaning and renting games will not be possible at launch, but Microsoft is “exploring the possibilities”. Microsoft may change these policies or discontinue them at any point. While I can accept similar DRM-measures like Steam, and believe that the democratized nature of digital distribution is a blessing to our medium, wholly eliminating disk-based distribution to promote profits is remarkably dangerous to the consumer and our medium as a whole. I wouldn’t be half the gamer that I am if it weren’t for the friends with whom I shared games. In high school, passing around game discs and cartridges amongst my peers was an integral part of my experience as a player of games. In college, a lot of my gaming diet came from the lending library we have available at the Interactive Media Division. Open access and sharing of this kind of content enriches people’s lives and the dialogue that goes on around games, helping us grow as a culture. Adding these kinds of measures will simply destroy the great game libraries that are kept in colleges and universities to enrich and edify students. If the Sim City debacle taught us anything, its that always-online is bad for the consumer, it failed for Diablo 3, and it failed for Sim City, there’s little reason to continue in that direction. Look, always-online restrictions on playing games deters people from playing them, excessive DRM measures have turned people off for years, unobtrusive-DRM has been a core pillar of Steam’s success, and DRM-free installations are one of the primary perks of the Humble Indie Bundles. Adding these restrictive measures to consoles is overkill on a massive scale. Yes, used and shared games are destructive for publishers and developers, but the lower price point allows for more and more people to enter this medium and become constant consumers of these cultural products. Tell me how having more gamers is bad for the industry? Outside of being morally contentious from a consumer’s and digital-freedom advocate’s point of view, Xbox One’s internet-access requirement is ethically impermissible from a cultural perspective. I can think of no other art form that restricts its participants to those that can afford internet access. We have museums to give the public access to seminal works of art from our cultural history, and public libraries allow anyone from any socioeconomic class to engage with film, music, and literature. Restricting the audience for games to only those who can afford to have to high-speed internet access is systemically discriminatory, making participating in game-culture a privilege reserved only for those living in certain parts of the world. In a seminal GDC Talk, Greg Costikyan said “I want you to imagine a 21st century in which games are the predominant art form of the age, as film was of the 2oth, and the novel of the 19th”. In order for that dream to be fulfilled, the barrier to engaging with the medium must be low enough that people from all cultural and socioeconomic backgrounds can join in the fun. Only by allowing free access to and sharing of games will we accomplish that. 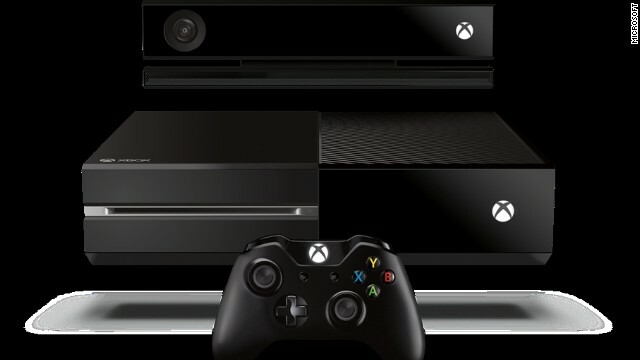 My opinion might change when E3 rolls around, but right now, I have severe ethical qualms about the Xbox One.